Visiting famous tourist sites is a lot of fun for most of us. Yet, many of us would also like to explore the other side of cities we visit – that known only to the locals. 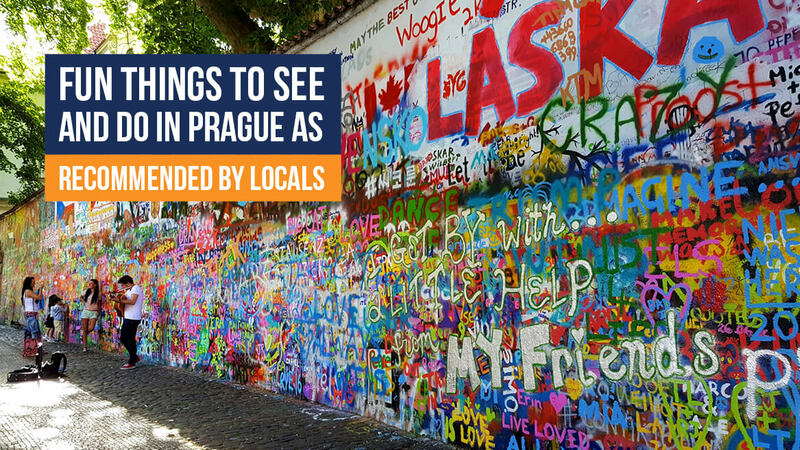 Prague is the place of dreams, filled with castles, fabulous architecture, thriving art scene, celebrated beer, and much more, but it’s also the perfect city for those who are looking for places and experiences that can’t be found anywhere else. So, when you join one of many available escorted tours, you will have a chance to visit the following hidden gems recommended by locals, in order to have a unique and full Czech experience. Situated on a plateau above the embankments of the Vltava River, Letná Park is a large park on Letná hill, which is always gladly recommended by locals. This huge park is covered in grass, trees, colourful bushes, and flowers, and it is absolutely perfect for sunrise/sunset photographs. One can truly relax here, sit on a bench, have a picnic, take a calming walk down the avenue, have a meal in a summer garden restaurant in the neo-Renaissance Letná Chateau, play some sports, and enjoy incomparable views of the city, the Old Town, Vltava and its bridges, especially from the Hanavský Pavilion. Also, here you’ll find the Prague Metronome and the Letná Carousel, the oldest carousel in Europe. For those of you interested in art and architecture, the locals recommend the gallery founded by Jaroslav Fragner in the first half of the 1950s in the dormitory next to the Bethlehem Chapel in the historic centre of Prague. It is one of the very few galleries in the country that only present architecture – historical and contemporary – be it thematic exhibitions, works by individuals or groups, local or international. The Jaroslav Fragner Gallery also holds lectures and seminars, organises international conferences, field trips, etc., and it presents Czech work abroad. It also cooperates with a number of European educational institutions, architectural art galleries and centres. Founded in the Medieval Period as a monastery garden, the Vojanov Gardens stand as the oldest partially preserved gardens in Prague. Since they are located in the historic centre, they are surrounded by houses and walls, which makes this lovely place very peaceful. You can rest next to a small lake in the shade of fragrant trees and listen to the song of the nesting birds, or take a walk to the decorative fish pond, beautiful flower beds, and a fountain. You might even see a peacock. Here you will find the baroque St. Elias Chapel, stylised in the shape of a grotto, as well as the sculptures used as beehives, an observation terrace with rose pergolas and, of course, the 17th-century sundial. No, not any beer tour. A local beer tour! An interesting fact is that the Czech Republic has the highest beer consumption per capita in the world, and while you can drink Czech beer anywhere in the world, or anywhere in the Czech Republic, the locals recommend that, in order to truly experience the social significance of beer, you find a local guide to take you on a local beer tour away from the tourist centre, to the bars and breweries where you will taste delicious beers made in and around Prague. That way, you can learn a lot more about the tradition of this fermented drink, its history, customs, even the best way to drink it and the best food to eat with each type of beer. Speaking of which – you get to eat delicious food on this tour too. Walk across the Charles Bridge from the Old Town and you will enter a fairy-tale-like place, near the crowded Hradčany, yet worlds away. Nový Svět (New World) is a small, peaceful street lined on one side by a high wall with a great wooden door behind which you’ll find a playground. Artists and writers are still drawn here by the seemingly untouched street and houses, rebuilt after the 18th-century fire. The doors in Nový Svět each have a fantastic period detail, so take a look at the doorknobs while there. Because of that, the houses are given names like ‘At the Golden Grape’, ‘At the Golden Plough’, ‘At the Golden Pear’, ‘At the White Lion’, ‘At the Golden Griffin’, etc. As the icing on the cake, your quest for authentic Prague experience should appropriately end with a delicious dessert. Wherever you turn in Prague, you will find gorgeous shops with even more gorgeous-looking desserts, both traditionally Czech and international. For a local experience, take the tram to Radhošťská station in Vinohrady area, away from the busy tourist streets, and you will find the Erhart Café. This charming bakery first opened its doors in 1937 and since then has been making cakes, homemade biscuits, and many other delicious sweets. Make sure to visit traditional Prague bakeries as these truly are a cake heaven.